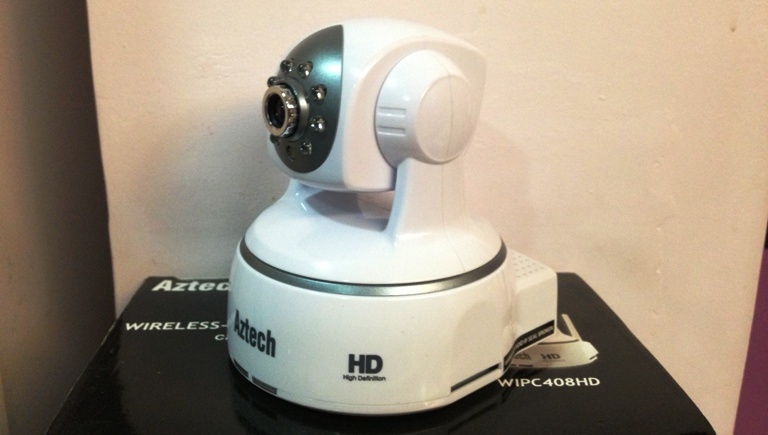 With the security in Malaysia getting from bad to worse, having a security camera at home is almost a necessity and no longer an item of luxury only rich people own. 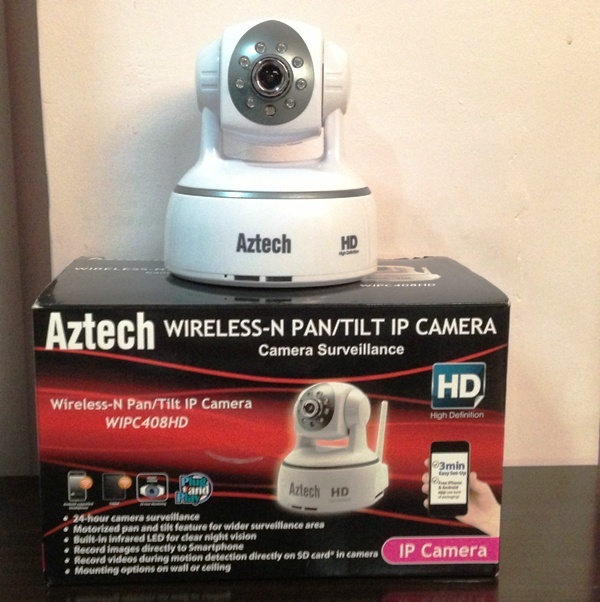 You don’t need to fork out thousands of Ringgit to have a proper CCTV that allows you to monitor your house, we have the Aztech Wireless-N Pan/Tilt IP Camera (WIPC408HD) for review today that gives you wireless surveillance right on your smartphone or computer – compatible with iOS, Android, Windows as well as Mac. Review starts after the break. Setting up the camera is a breeze, which is the number 1 feature that I like the most. With QR Codes, all you need to do is scan to locate the app in the respective store – Play Store or App Store, then scan the QR code below the device to add it to the app in your smartphone and you’re done. The PC software can be added using the provided CD Rom. 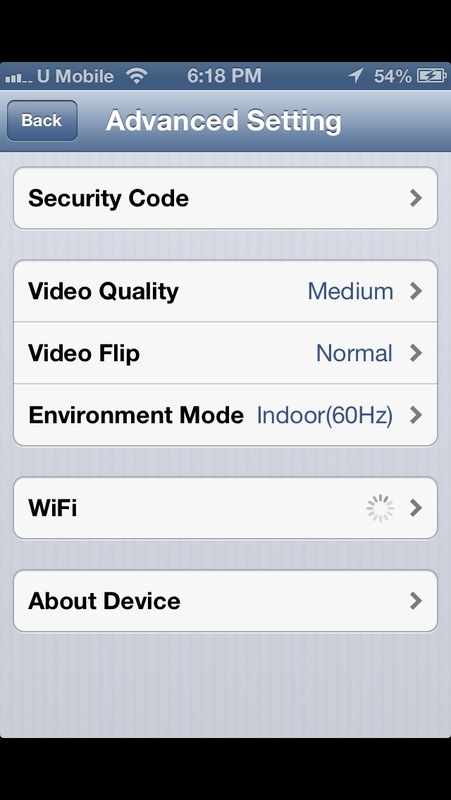 For the initial set up on the device, you’ll need to connect it via a LAN cable, once all the settings are done, you can remove the cable and the device can be placed anywhere within your Wi-Fi range. Now since this is a review unit, I didn’t go all out to mounting the camera on my wall but the package comes with almost everything you need. On top of all the basic things like the camera, Wi-Fi antenna, LAN cable and of course, power cable, it also comes with screws and plastic holders for you to mount the device up. If remote surveillance is all you desire, that’s it, you’re free to go with your brand new toy, but the WIPC408HD can do more than that. 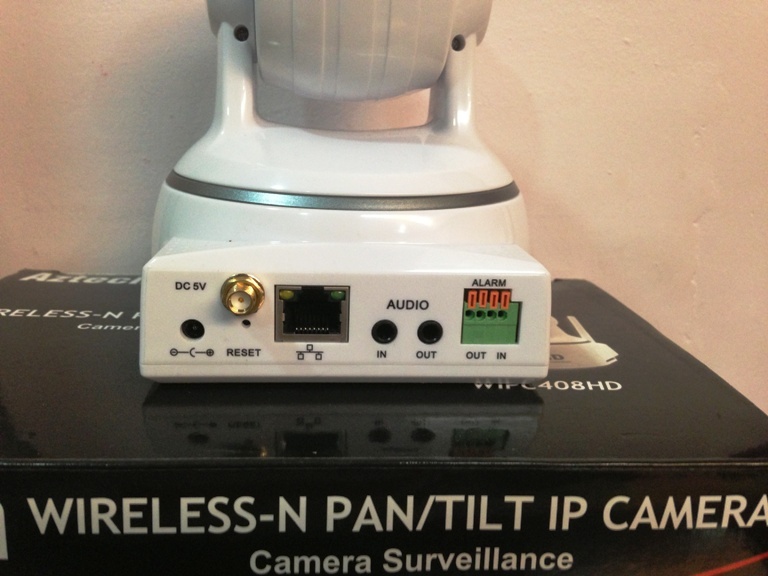 Remote monitoring can be done on your smartphone but if you access via it your computer – PC or Mac, all you need is the correct IP address, and you can perform advanced settings such as have it record videos and stored in the SD card, have it take pictures every n amount of seconds, and more. The first thing you need to do, change the default username and password (admin and admin) to something else. Once done, you can start recording, browsing and monitoring away; I placed the review unit at home to keep watch when I’m away at work. The camera is very simple and straightforward, giving you the ability to remotely watch your house or office while you’re away. All you need to do is leave the recording turned on at home on your computer, and let it do its magic. The smartphone app comes in handy for when say it detects motion and alerts you, you can log in immediately to see what’s going on or is it a rat that caused the detection. I didn’t try this out at home because I have pets. With motion detection turned on, your capture footage will be interrupted and it will capture the entire moving scene in a different clip. So what I did was, I left the review unit to record footage 24/7 at 10 minutes interval so it’s easier to flip through the footage should I need to. The recording intervals can easily be tweaked; you can even set up your email or an FTP server for you to access these footage remotely. Video quality is acceptable, HD resolution of 1280 x 720, clear enough for you to catch faces though it’s slightly noisy for indoor shots. 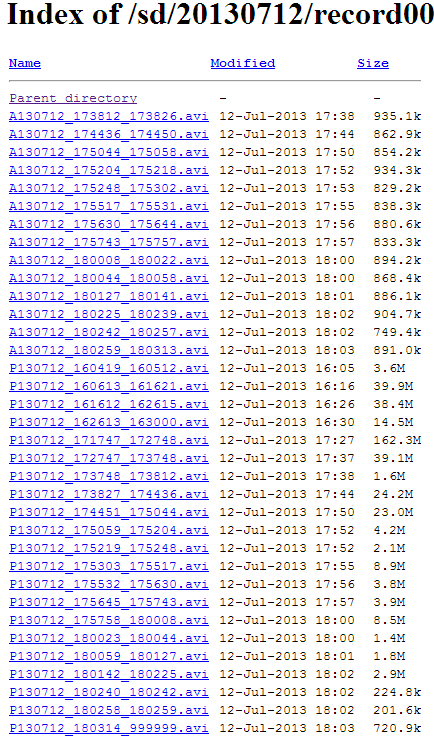 You can tweak the bit rate and FPS though but better quality will require a larger SD card. The lighting sensitivity for it to turn on its infrared LED for night vision is a wee bit too sensitive, turning my videos black and white unnecessarily but if you’re going to monitor indoors, you can turn the feature off. You can also have the camera capture images every 60 seconds (or whatever time frame you wish) but it can only capture a maximum of QVGA quality, not something I would rely on but hey, you can store plenty of them in your SD Card since the file size is so small. 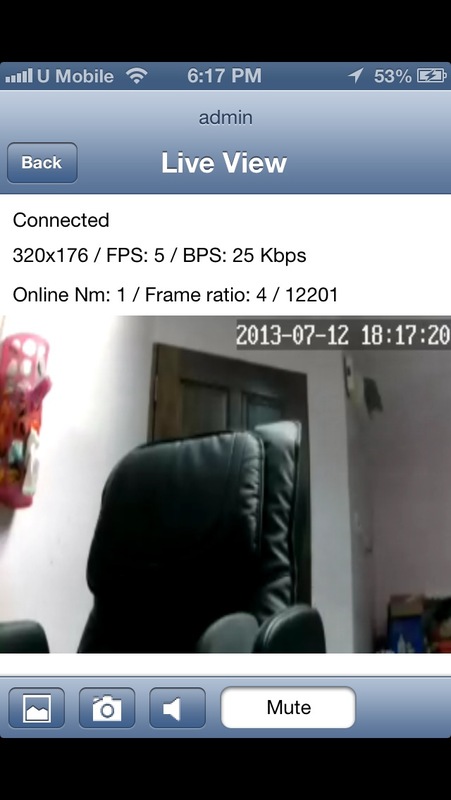 Viewing remotely on your smartphone is easy, just load the app, select the respective cameras – I only have one – and you can view immediately though I must say, it lags quite a bit. You can pan/tilt the camera remotely too via the smartphone app however, it can be rather challenging. It doesn’t recognize your touches all the time hence you are going to have to swipe your display a load of time before it register and pan accordingly. The audio recorded is not too shabby either, for something built-in I think it’s pretty decent. You can also perform minimum tweaks using your smartphone such as alter the quality – I set mine to the lowest for obvious reasons – my internet is not up for maximum resolution. You can also take snapshots using your smartphone, which will be stored on the SD card on the camera. I must admit, this is the first time I’ve ever got my hands on one of these things and I like it very much. I like the security it gives and how easy it is to set the camera up, and my favorite part of it is the remote view I get from my smartphone. Unfortunately though, the thing that puts me off the most is the retail price of RM399. 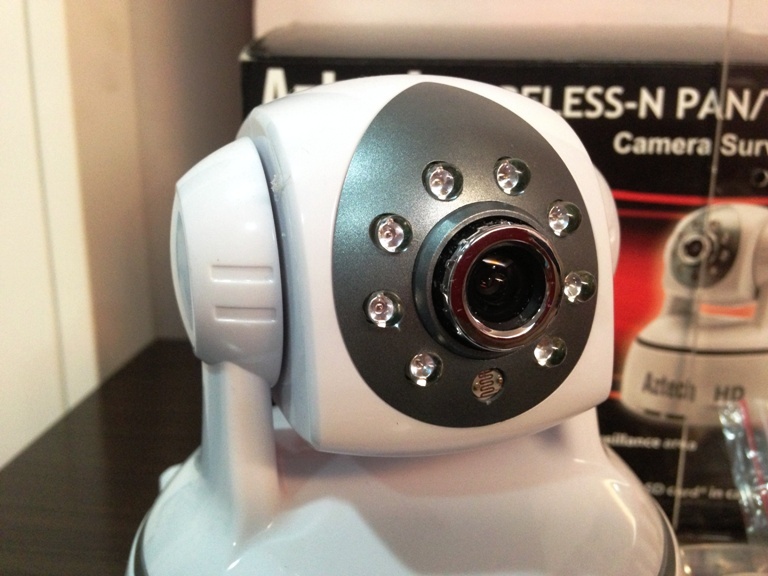 Of course, it’s the latest top-of-the-line wireless IP camera from the company but for basic usage, I would opt for a lower and more affordable model. If you’re technical enough to make full use of all its features and intend to use it for your office, it’s definitely worth considering; you can save up the money from hiring someone to set it up for you and install the entire thing yourself. 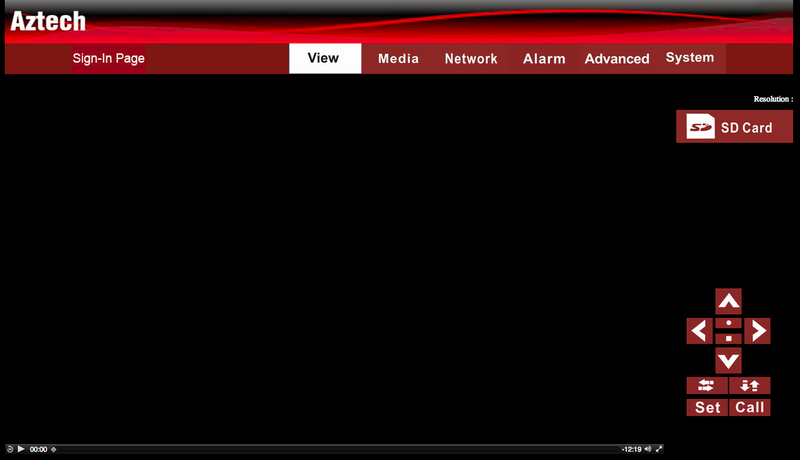 I could not get the live view to work for my web interface on my PC but it worked fine on my Mac though, very slow. Very. 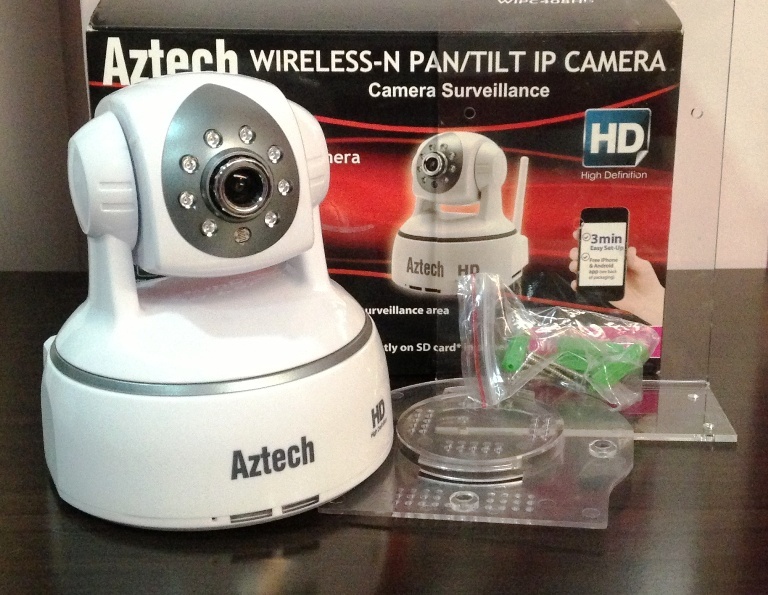 Visit Aztech for more details about the product.